Friday: September 28th, 2018, 7-9pm, register today for your spot! 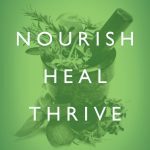 Join me at the NY Open Center for a cutting-edge evening to discuss why some just do not get better despite antibiotic or herbal treatment. 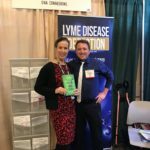 It is not just about Lyme disease, it is also about co-infections including Bartonella, Babesia, Anaplasma, Mycoplasma, the meat-eating allergy, and so much more. And the latest testing from different labs…that Western Blot is so 20th Century…and so flawed. Let us also revisit transmission agents, transmission times, viral activation and toxic mold that all also play an important role with sustained infections, symptoms and inflammation.